As the season is changing there are lots of new items appearing on the shelves. It is difficult for an ice cream company when it comes to the cold time of year as ice cream isn't high on peoples priority list. It is more hot puddings and custard. 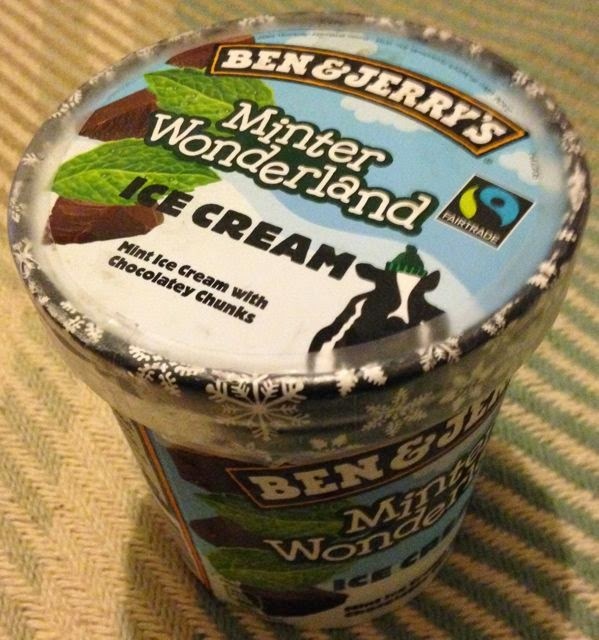 Not to be put off Ben and Jerry’s have come up with a new themed edition for the season, Minter Wonderland. 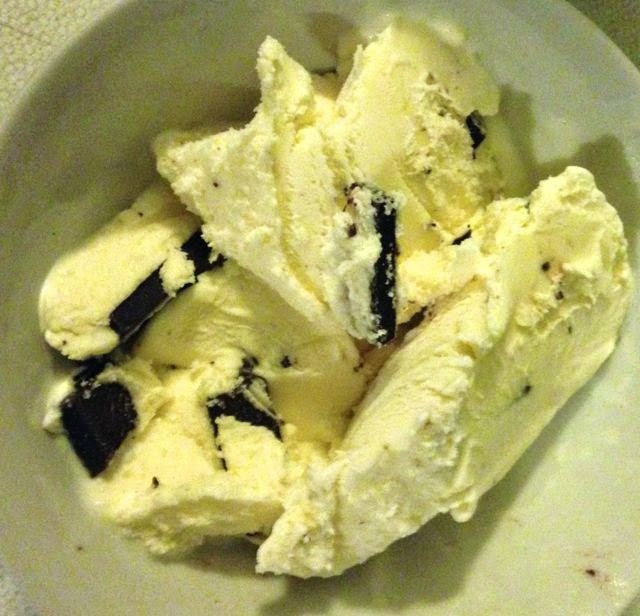 The ice cream has a mint base and chunks of dark chocolate generously throughout. The ice cream is white not green like the ones I remember from my childhood. As usual with Ben and Jerry’s the tub needs to be out of the freezer for a few mins before you serve, it isn't an easy scoop product, they never are with this brand. I was impressed by the pieces of dark chocolate, they were chunky and thick, made from a good quality chocolate. Biting into each piece released loads of cocoa and flavour, they also broke up the texture nicely. The pieces were just blocks in shape though.The minty ice cream was fresh and balanced just right with the peppermint. It was both creamy and smooth, sweet and with a lovely minty taste. Mostly though the silky sweet mint flavour was just a pleasure to eat. In conclusion it is hard not to like this ice cream, the mint and chocolate combination are excellent. I wouldn't buy it again though, Ben and Jerry's are a premium brand and I do expect a bit more from them. Something unique that justifies the extra cost, be it a twist on the flavour, a few more added ingredients or even just cute shaped chocolate pieces. The chocolates are just blocks, not smart winter themed shapes. I hoped for more from Ben and Jerry's not just a, albeit very nice, mint choc chip. Plenty of brands do a fab mint choc chip already. Isn't this just the mint choc chunk Ben and Jerries already do in their scoop shops?! My favourite mint choc chip ice cream. Who needs novelty when you have quality? That Kit Kat caramel below could do with some of the decent chocolate in this!